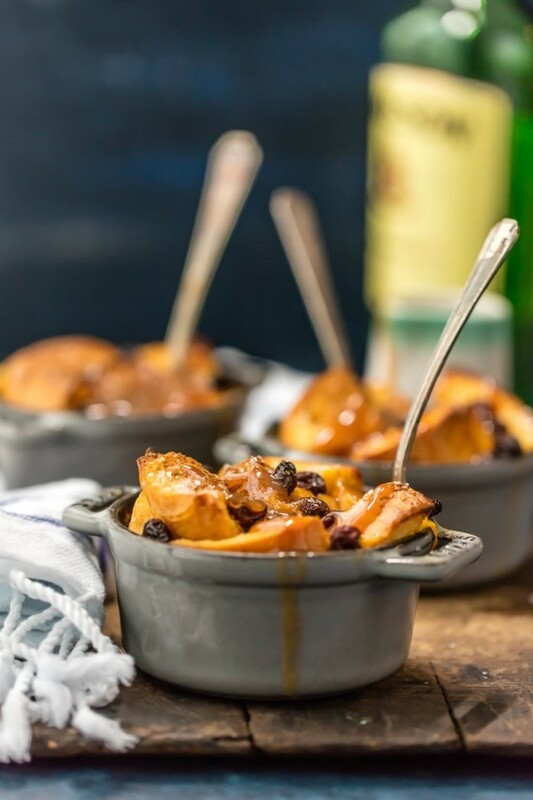 Irish Bread Pudding with Whiskey Caramel Sauce is the perfect way to celebrate St. Patrick’s Day! 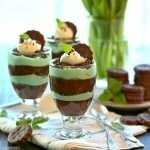 Such a decadent and easy dessert. 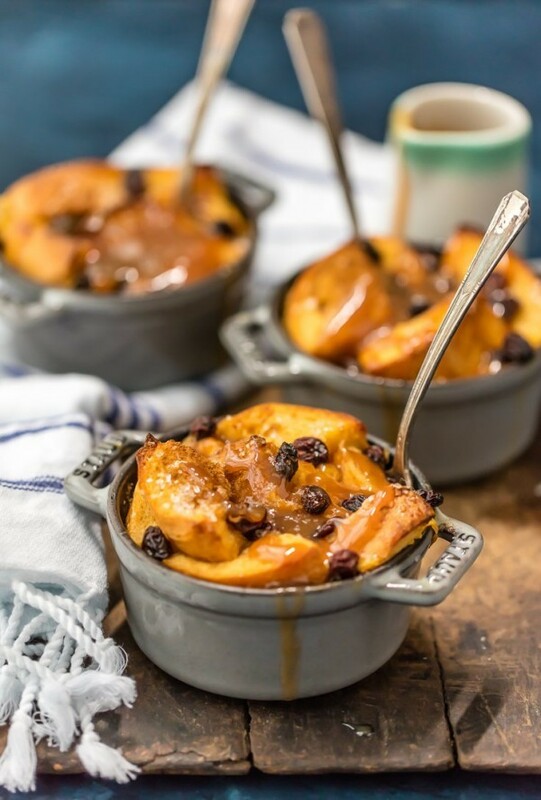 Is there anything more comforting than bread pudding? Super simple while also being decadent, it’s the perfect way to indulge on date night, after a long week, or just celebrating every day things. 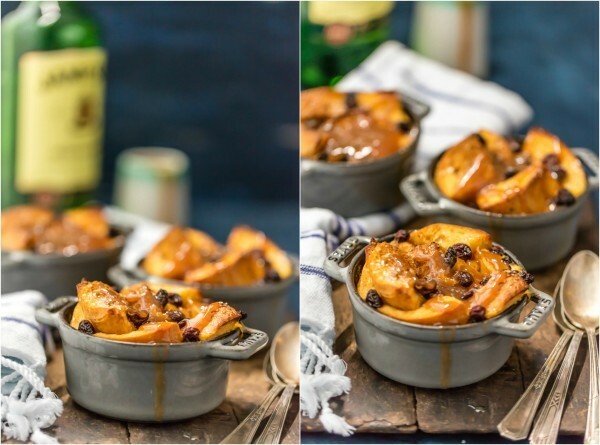 This Irish Bread Pudding with Whiskey Caramel Sauce is perfect for St. Patrick’s Day! 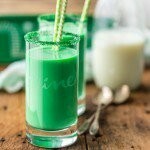 Oozing with flavors that make St. Patrick’s Day a favorite (WHISKEY! 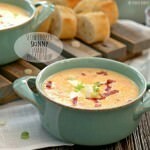 ), warm, delicious, and SO EASY. What’s not to love! 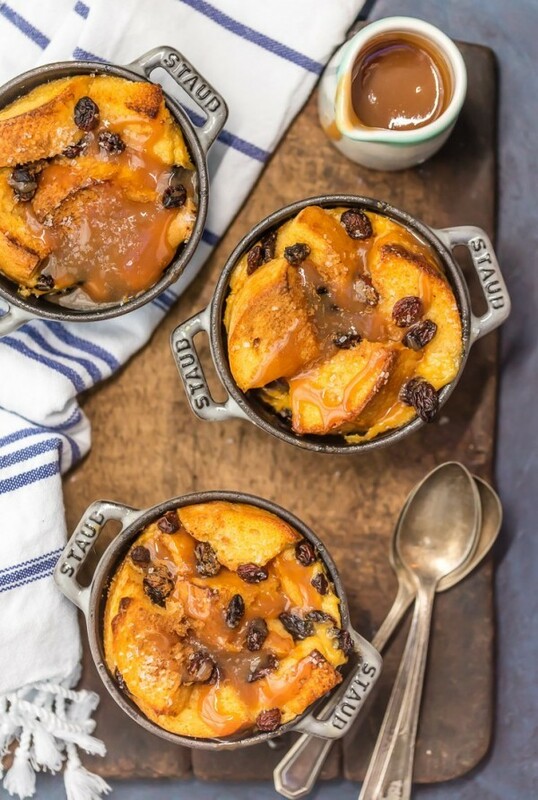 I just have such a thing for bread pudding. I’ve made it with chocolate (Hot Chocolate to be exact! ), and even made an apple pie version. 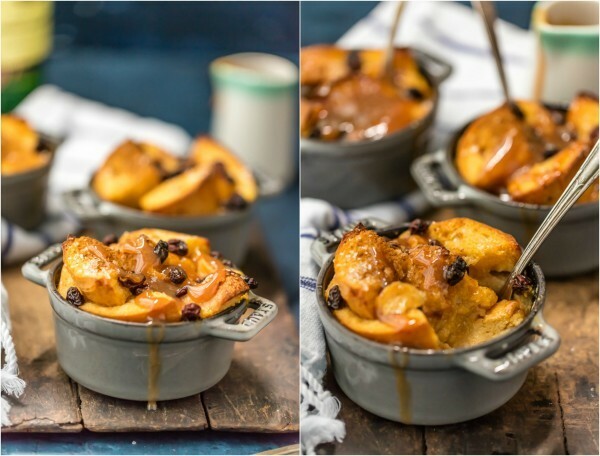 But you can’t beat this Irish Bread Pudding with Whiskey Caramel Sauce version. It’s bursting with flavor and personality. You can bake it in a large casserole dish, or in individual ramekins. It’s the perfect dessert to make when entertaining, because it’s thrown together in minutes. Leave it a bit to soak up all the goodness and then bake. Top with extra caramel, whipped cream, or caramel for an extra special treat. Don’t you just want to dive right in?? I love to soak the raisins beforehand in the whiskey to make them little flavor bombs. If you’re not a raisin lover (hello my husband! ), I have also used chocolate chips. 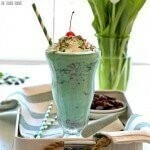 Now THAT is decadent! Ooey, gooey, and oh so perfect. 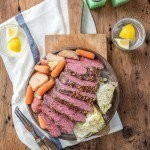 What are your favorite St. Patrick’s Day traditions? 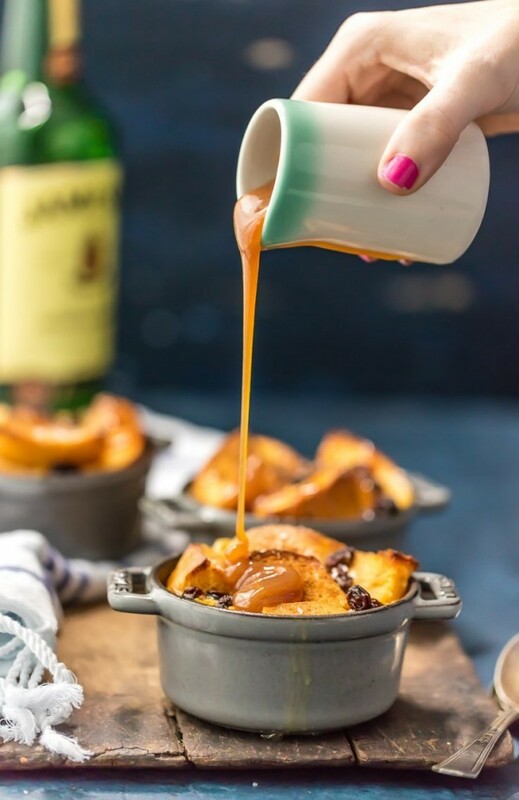 We love to head to our local parade (STL is known for their family parades on St. Patrick’s Day, it is SO fun), drink some green beer, and then head home for Irish Bread Pudding with Whiskey Caramel Sauce. Our dog Scout even joins the fun by wearing her favorite green sequined collar. That poor dog doesn’t stand a chance. It’s one of our favorite days and I hope you love it just as much! Enjoy!! Combine sugar and water in a small saucepan over medium-high heat. Stir until the sugar completely dissolves. Stop stirring and allow to simmer until mixture is golden (about 17 minutes). DO NOT STIR! Carefully add butter and cream cheese, whisking constantly until all clumps are dissolved. CAUTION! Mixture will be very hot and can bubble up during this time. Stir in whiskey and milk. Mixture will bubble a bit at this step as well. Set aside. 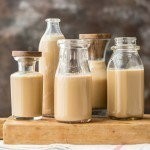 Combine heavy cream, sugar, vanilla extract, evaporated milk, eggs, and 2/3 cup caramel whiskey sauce in a large bowl. Stir well with a whisk. Add bread cubes, using a spatula to push down and make sure each piece of bread is coated. 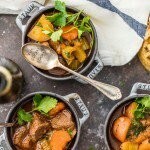 Cover and allow to sit in the fridge for at least 30 minutes to soak up all the goodness. 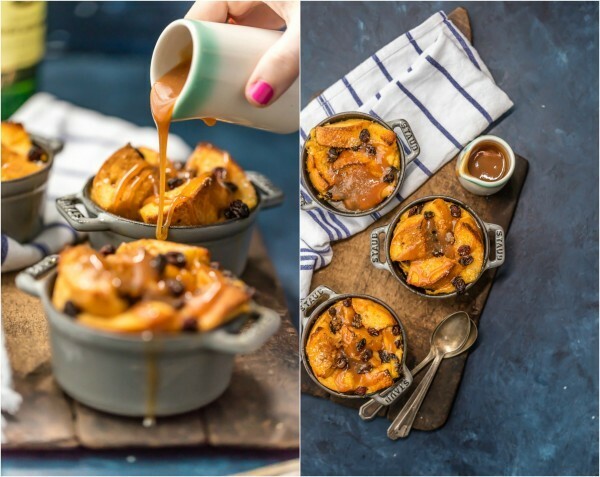 Pour bread mixture into a 13 x 9-inch baking dish coated well with cooking spray, or into approximately 6 prepared ramekins. Sprinkle top with raisins or chocolate chips. Bake at 350F for 35 minutes or until set. Serve warm with more caramel-whiskey sauce. 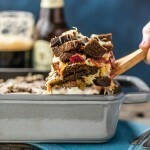 The post Irish Bread Pudding with Whiskey Caramel Sauce appeared first on The Cookie Rookie.